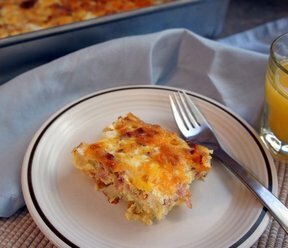 An easy breakfast casserole that everyone will love. Use any ingredients that you prefer or any combination. Perfect with leftover ham from the holidays. Preheat oven to 350 degrees F. Grease 9x13" pan. 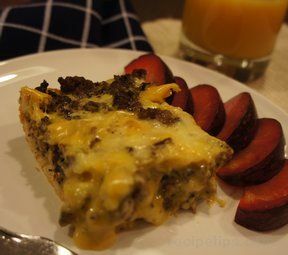 Layer ingredients in this order: Hashbrowns, Meat, 1 cup of cheese, Sprinkle with Mrs. Dash. Beat eggs and milk together; pour over top. Sprinkle with remaining cheese. 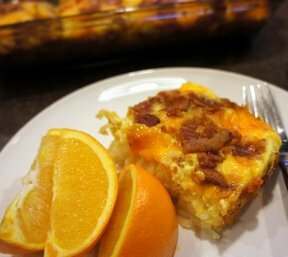 "I used bacon and ham and it was great. Perfect way to start the morning. 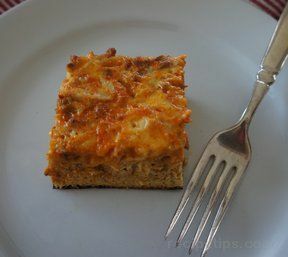 I had a couple of pieces leftover so we warmed them up and had them for supper and still delicious."